The DALI PHANTOM S-280 offers the ultimate performance when it comes to custom install loudspeakers - without sacrificing valuable living room space. With the use of proven speaker technologies, such as our characteristic wood fibre cones, low-loss rubber surround, solid MDF front baffle, and superior magnet design - combined with our latest innovation including a SMC pole piece and our signature hybrid tweeter module - it delivers a no compromise in-wall audio performance out of this world. The two primary 8” woofers are optimised for both bass and mid-range performance, and to further enhance the bass performance, we have paired them with two 10” passive woofers. This results in a full frequency response similar to that of a boxed floorstanding speaker, which ensures that the PHANTOM S-280 really stands out from the crowd. 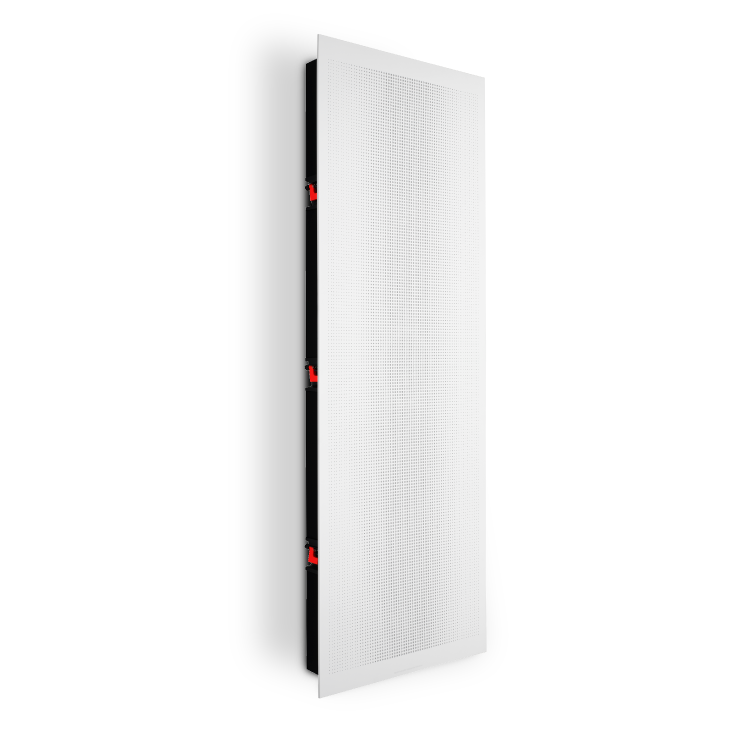 The ultra slim cabinet design fits into almost any standard wall. All models are built around a rotatable hybrid tweeter module making them easy to install for any audio use – be it stereo, centre channel or surround. See the PHANTOM S whitepaper (below) for a more technical description. The PHANTOM S-280 features a slim cabinet that fits into almost any standard wall. Constructing a shallow back cabinet was a challenge in several ways. With a depth of only 103 mm (4 inches), getting the perfect inner volume for the woofers had to be found both in the height and width of the speaker, but also internally. The front of the PHANTOM S-280 integrates elegantly with the wall via the surrounding extruded aluminium frame. 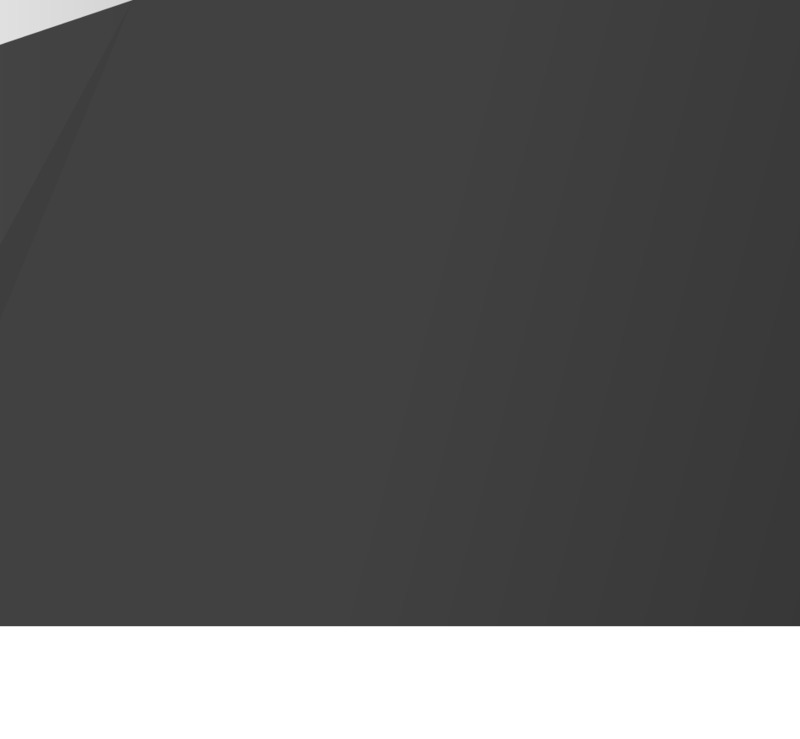 The picture frame design helps to ensure a large termination point between speaker and wall without a visually dominating footprint. The magnet mounted front grille forms the visual presence of the PHANTOM S-280. The discreet, simple, but modern design is non-intrusive and at the same time pleasing to the eye. The cabinet is constructed from a solid MDF that holds the easy-to-use dogleg mounting system and the terminals. The rear MDF chamber is entirely wrapped in a high quality black vinyl to complete the look from the painted front baffle. The entire cabinet is designed with a thickness solid enough to avoid resonance. Due to its superior precision and minimal distortion, we chose to base the PHANTOM S-280 woofers on the SMC (Soft Magnetic Compound) magnet system originally developed for the EPICON 8. The rotatable hybrid tweeter module in the PHANTOM S-280 is the perfect high frequency solution. DALI has a long and well-proven tradition for the use of hybrid tweeter modules, which combines a soft dome tweeter with a ribbon tweeter. This ensures an amazing rendering of the high frequencies, and dispersion of high frequency sounds that outperforms other tweeter technologies. The two primary 8” woofers were designed and developed specially for the PHANTOM S-280 and optimized for both bass and midrange performance. The SMC magnet system developed for the EPICON range was chosen as the core for this woofer for its unique ability of dramatically lowering the level of distortion. Offering 70% more surface area, the 8” woofers are able to move more air and deliver a higher sound pressure at very low frequencies compared to a traditional 6½” woofer. 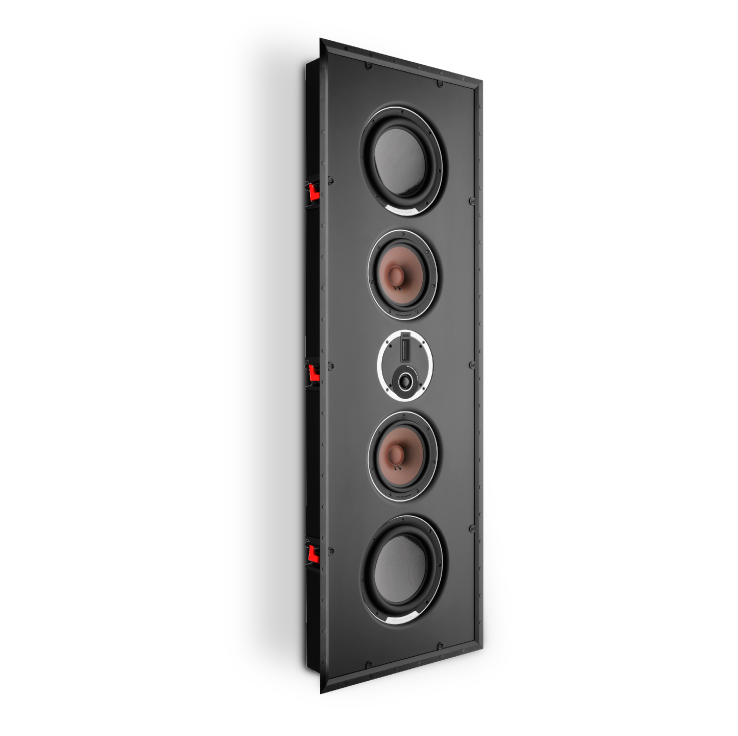 All this whilst still delivering detailed information, rich midrange sound and a full frequency response as of a traditional floorstanding speaker. To ensure the best possible bass performance in the PHANTOM S-280, we integrated two 10" passive bass reflex woofers - based on the passive radiator used in our highend subwoofer 'DALI SUB P-10 DSS'. By also using the same aluminium chassis, soft surround and very well behaving carbon fibre cones, the passive radiators let the PHANTOM S-280 reach deep down into the true lower frequencies to deliver a believable large boxed speaker sound. But in a very slim cabinet. This technology is perfect for the PHANTOM S-280, since it is always mounted flush against a wall. Low frequency passive driver, Quantity 2 x 10"
"The PHANTOM S delivers high quality sound while remaining virtually invisible."